Amendments to the Pensions Benefits Act – On May 11th 2015 the Lieutenant Governor of British Columbia approved the new Pension Benefits Regulation (the New Regulation) The New Regulation is to come in to force from 30th September 2015. Some of the changes that have been made and authorised by the Income Tax Act (Canada) – pensioners receiving variable benefits are entitled to transfer any amount to the retired member's variable benefit account, either from the pension fund related to another defined contribution pension plan; or from a prescribed retirement savings arrangement. Or for a person who is to transfer out of the receiving variable benefits is entitled to require the administrator to pay, to the extent authorised by the Income Tax Act (Canada), any amount remaining in the retired member's variable benefit account, to the pension fund related to another defined contribution pension plan, if the administrator of the other pension plan agrees to accept payment; into a prescribed retirement savings arrangement; or for the purchase of a life annuity. Canada's pension system is characterized by a mixture of public and private pension schemes. Approximately half of all Canadians rely exclusively on the public pension system, which is made up of two tiers: Tier 1 is a flat-rate pension from the Old Age Security program, and Tier 2 is an earnings-related pension from the mandatory Canada Pension Plan (CPP). The third tier of Canada's retirement income system is made up of voluntary pension savings. Voluntary employer-sponsored pension plans are formally known as Registered Pension Plans (RPPs). The Old Age Security (OAS) program is financed from Government tax revenues and is a means-tested flat-rate pension that is paid to most Canadians aged 65 years and over. Residents who have lived in Canada for 40 years or more receive a full pension, the amount is then reduced for those who have lived in the country for a shorter period. Residents who receive a full or partial OAS pension and who have little or no other income, can gain an additional monthly benefit in the form of a Guaranteed Income Supplement. As of April 2012, the maximum monthly benefit from the OAS was $540.12 (CAD). The Canada Pension Plan (CPP) is a federal/provincial pension plan established in 1965. It began operating a year later. 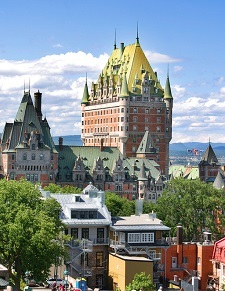 It is a contributory social insurance program operating in all parts of Canada, except Quebec, which operates the Regime de rentes du Quebec, or the Quebec Pension Plan (QPP), a similar plan. Participation in both is mandatory for all working residents over the age of 18. Recent changes to the CPP have resulted in the pension increasing by a larger percentage if taken after age 65 and decreasing by a larger percentage if taken before age 65. So for example, if by 2013, an individual starts receiving a CPP pension at the age of 70, the amount will be 42% more than it would have been if you had taken it at 65. Alterations to contribution rules depending on when an individual starts to withdraw benefits from the CPP have also been made. The third tier of Canada's retirement income system is made up of voluntary pension savings (RPPs). In order to receive tax advantages, complementary occupational pension plans must be registered with the Canada Revenue Agency and meet tax and benefit requirements. Pension schemes that do meet these standards are not given any tax relief. Defined benefit (DB) plans remain the most common type of scheme in Canada. An average DB plan would be based on final average earnings with an accrual rate of 2% per year in the public sector and less than this in the private sector. As elsewhere, defined contribution (DC) schemes are becoming more popular in the private sector and schemes are usually integrated with the CPP or QPP and require employee contributions. Average DC contributions amount to approximately 5% of earnings.